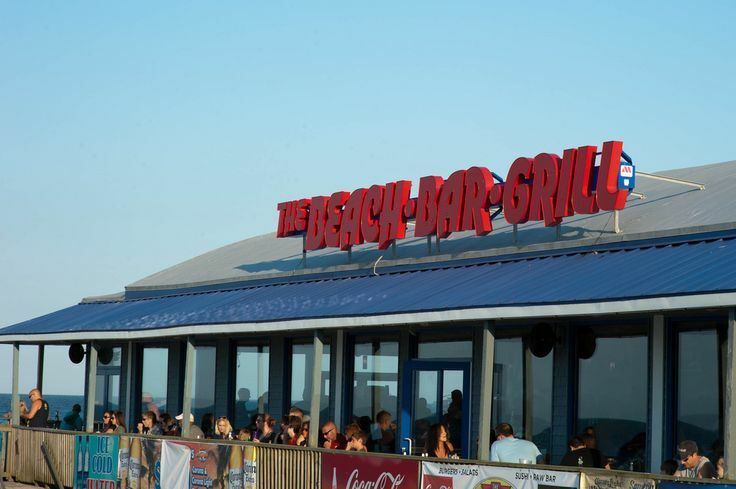 This isn’t just the old Beach Bar. A bar and pool complex on the southern end of the Seaside Heights boardwalk has received the go-ahead from the borough’s planning board, with the architectural firm on the project releasing images of what the shiny new structure may look like. 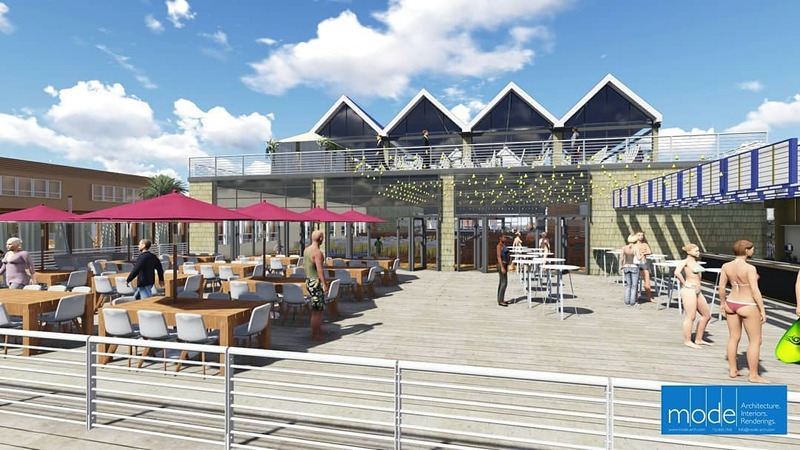 MODE Architects released the renderings on Tuesday afternoon, receiving a flurry of social media attention. 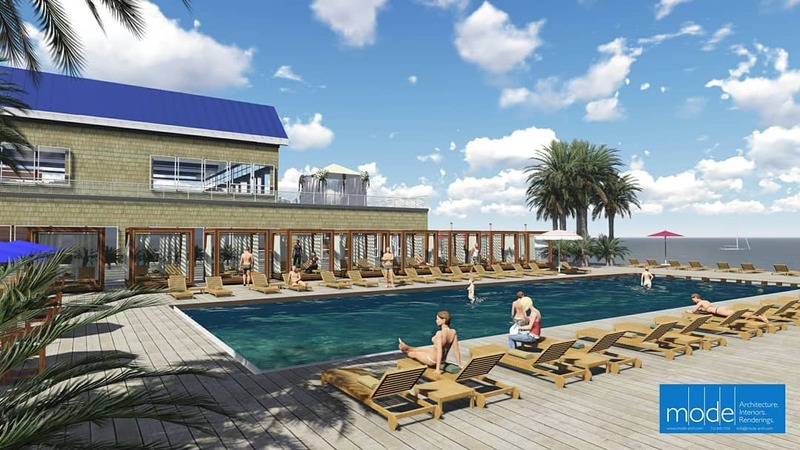 The images, contained in this story, show a multi-story complex with bars, pools, beach cabanas and plenty of palm trees. 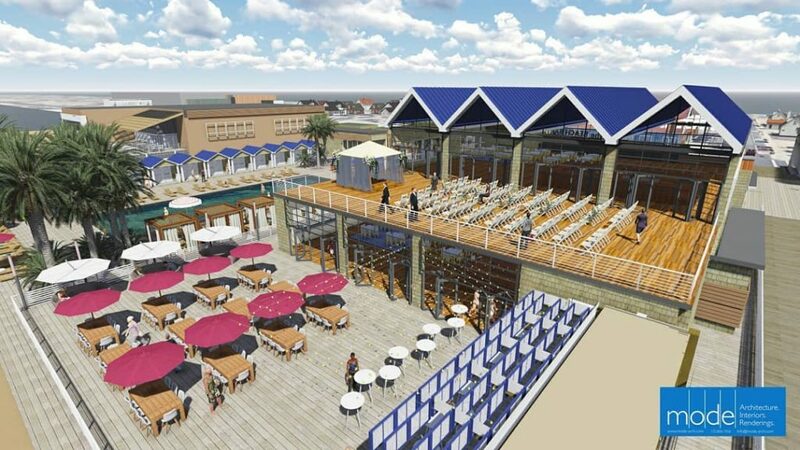 Kiosks and a pop-up bar are scheduled to open in time for summer 2018. 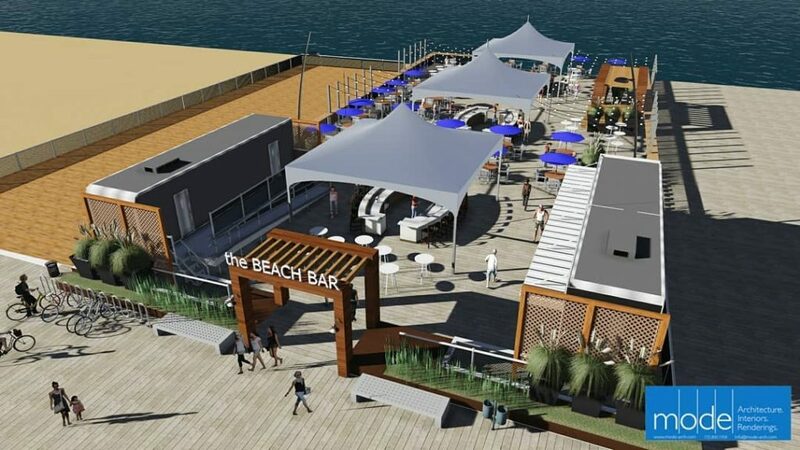 The Cabana Club and new Beach Bar building will open for the 2019 summer season. 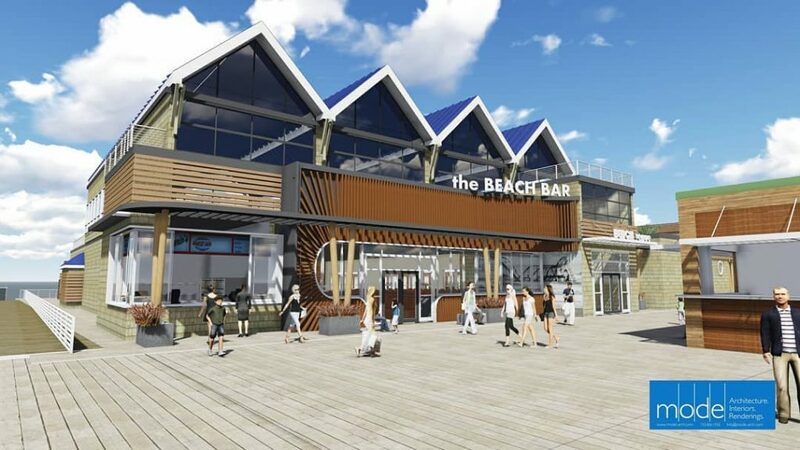 Plans call for six 30-by-18 foot boardwalk kiosks on the boardwalk itself, a restaurant, an in-ground pool, a 7,500 square foot Beach Bar, 10-by-12 foot cabanas, two 40-by-25 foot club buildings, and a banquet space on the ocean side of the existing boardwalk. 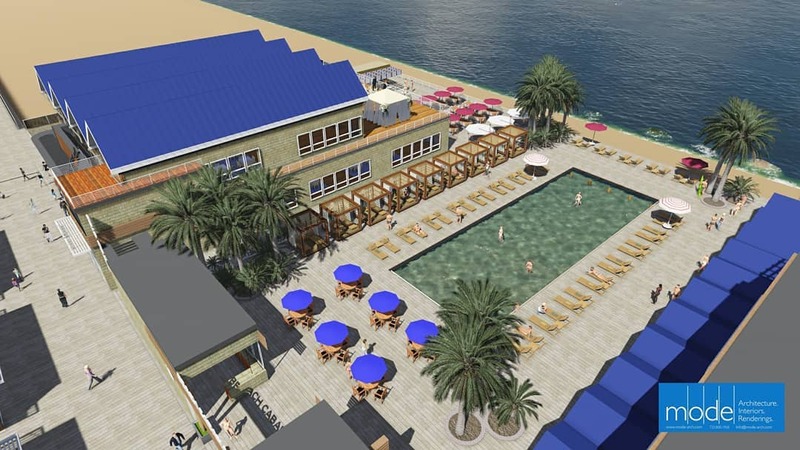 The property owner is planning to develop the lot in two phases, according to board documentation. 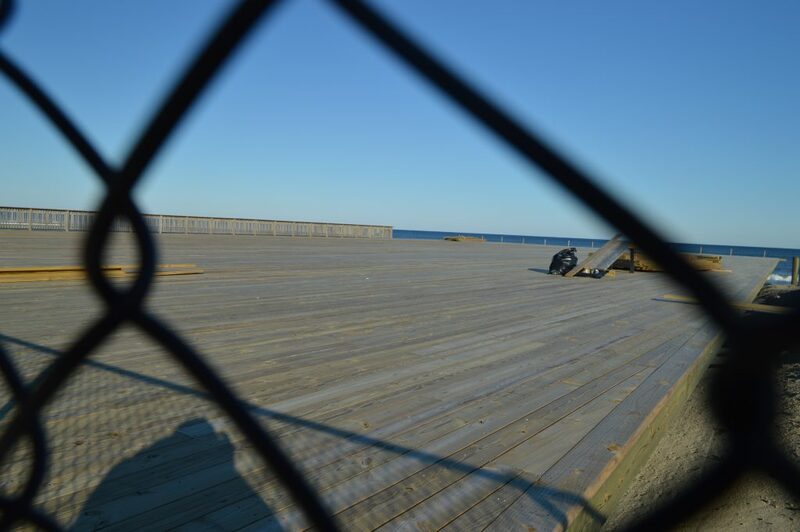 The pier on which the complex will be built, known as the Belle-Freeman property, was decimated in Superstorm Sandy in 2012 before it was finished off by a fire in 2013. 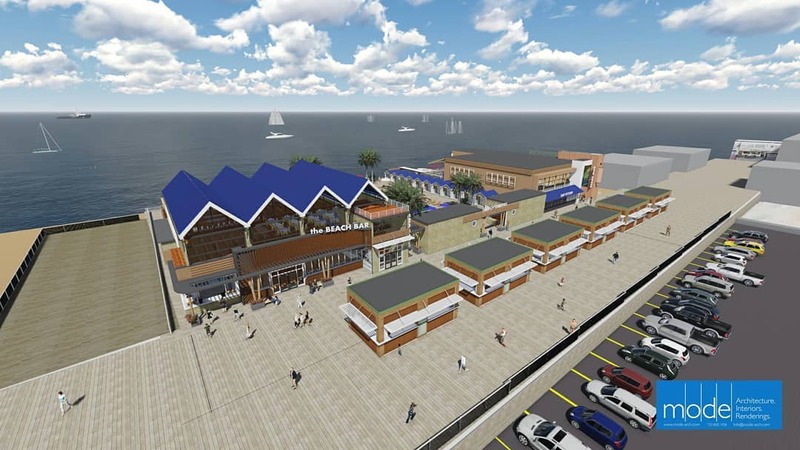 The pier was rebuilt in late 2016.